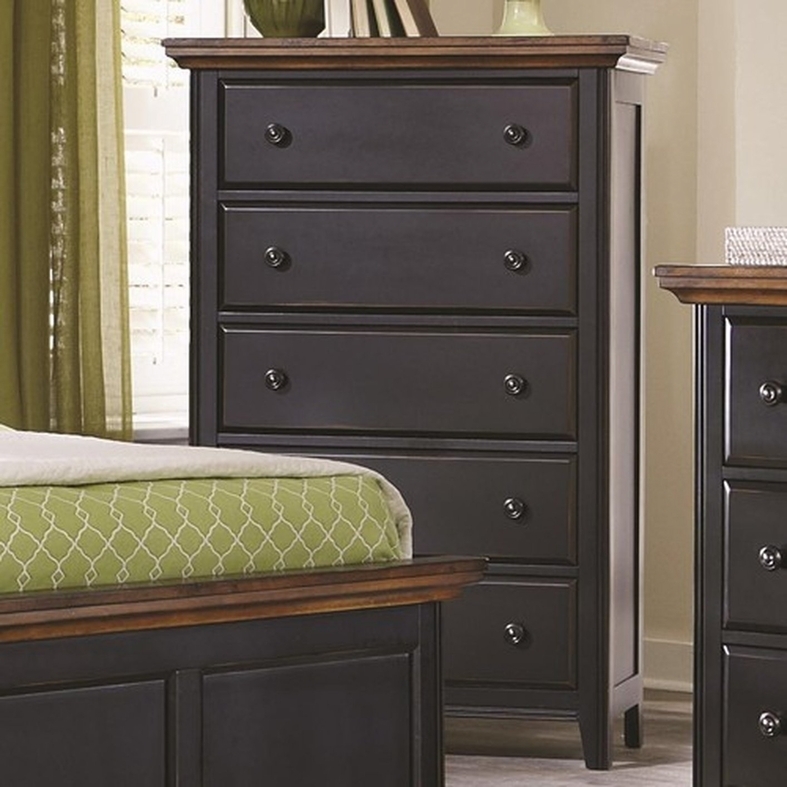 Add necessary storage and sophisticated transitional style to your bedroom with this chest. The tall piece offers five drawers for storage, without taking up too much floor space, the perfect solution for a smaller bedroom. Felt lining in the top drawer ensures fragile items like jewelry have a safe home, while a two tone Black Sand and Medium Oak finish brings an antique rustic feel to the piece. 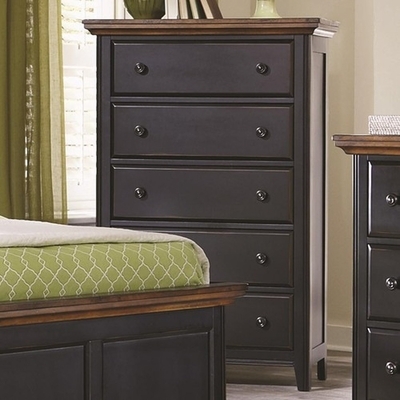 Tapered feet and crown molding complete the chest for a look of classic sophistication.